As wide as all the world, great, high and unbelievably white in the sun was the square top of Mount Kilimanjaro”, wrote Ernest Hemingway of this highest mountain in Africa rising to 5,895 metres above sea level. Situated near the town of Moshi in northern Tanzania, Mount Kilimanjaro rises from the dry plains, through a wide belt of forest and high alpine heath to an almost bare desert and finally the snow capped summit, Uhuru Peak, just 3 degrees south of the Equator. One of the world’s highest free standing mountains, Mt. Kilimanjaro is composed of three extinct volcanoes: Kibo 5895 m (19340 ft.), Mawenzi 5149 m (16896 ft.), and Shira 3962 m (13000 ft.). 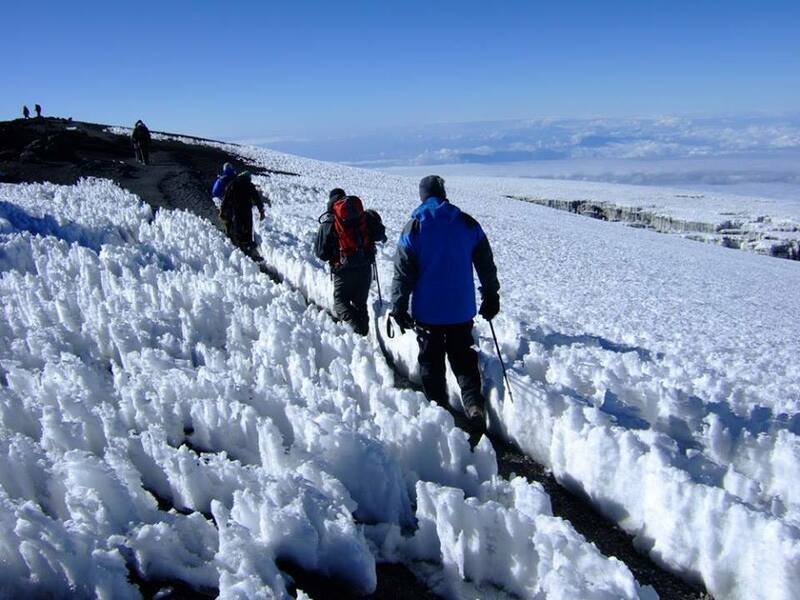 The ascent of Kilimanjaro can be done from six routes: Mweka, Umbwe, Shira, Rongai, Machame, and the Marangu Route which is the easier and the most popular. Depending on which route one wants to use, the climb of Kilimanjaro can take between four nights to six nights on the mountain. The two most popular routes are Marangu and Machame. On the Marangu Route, accommodation is in alpine huts while on Machame Route it is camping throughout. While expert g uides and porters will accompany you on your climb, unlike Mount Everest, no technical equipment is required.